We strongly recommend to read this documentation attentively to save your time during further setting up of our theme. If you need any help just send an email to support@mfdsgn.com be sure to add your puchase code. Our support team is ready to help you. We want to make a good and useful Theme, if you have suggestions, please send an e-mail. All emails will be answered. Dear customers, we appreciate that you have chosen our theme! 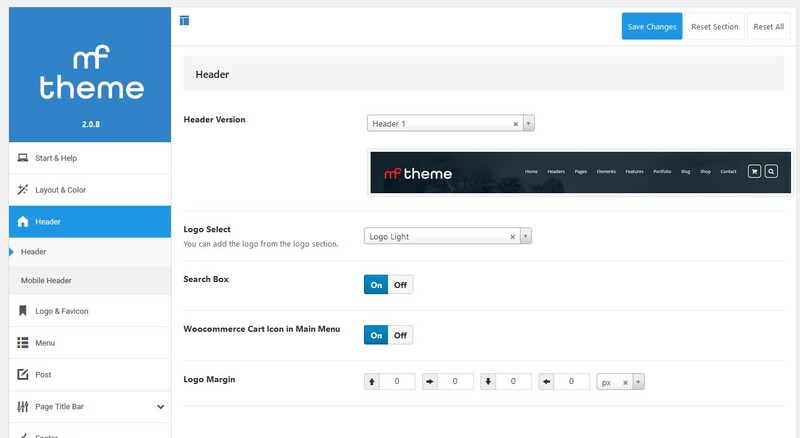 MF - is an elegant and neat theme outside, at the same time with a powerful admin module inside. MF have many Premium plugins bundled with free for customers. Our Support Team, which produces quick solutions, is always ready to help you. Before theme installation and its use, we recommend firstly to examine the documentation in details. Free Theme Install + Demo Content Service : For this service please send us an email to support@mfdsgn.com with your purchase code + wp-admin credentials. We will answer quickly. 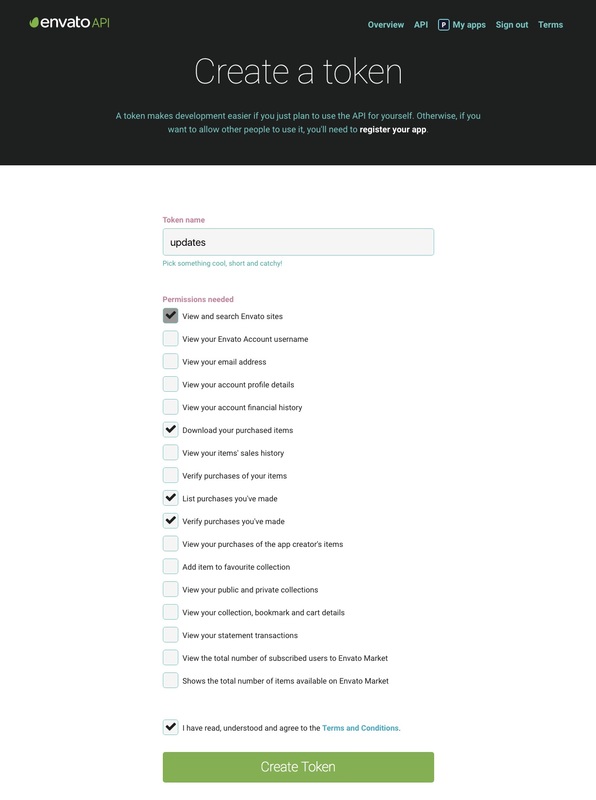 Check limits by wp-admin >> Tools >> Redux framework >> Status. Due to Envato Item Support Policy we provide theme support for 6 months from the purchase date. It means during those 6 months we aim to help our clients if they need additional information about the theme's options and features or have any unresolved difficulties with template. For this reason support team is at your service. But we are not able to provide support for code customization or third-party plugins! If you need advice with anything other than minor template customization, want to implement new functions or make theme compatible with third-party plugins we recommend to request developer help. Also you’ll have the option to purchase extended item support, increasing the item support period up to a maximum of 12 months from the date of purchase. You can find detailed information on ThemeForest. Send an email to support@mfdsgn.com be sure to add your puchase code. After theme purchase, please, download the theme from ThemeForest. 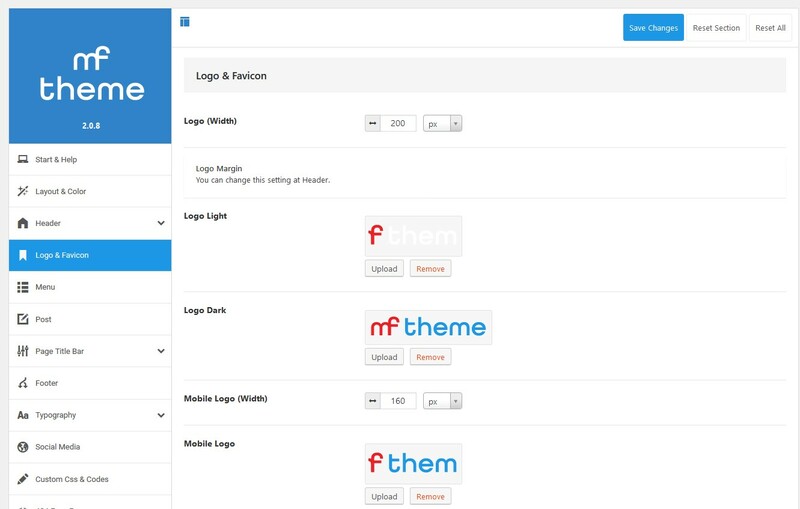 For that, you need to enter Downloads area in your account on ThemeForest, where you will see all your purchased themes. Find MF template among them and click on the Download button on the right from the main content. In the provided list you will see the opportunity to download the whole theme package with all additional files or the theme .zip file directly. Extract mf.zip file and upload only extracted mf folder to /wp-content/themes/ folder on your server. Navigate to Appearance > Themes and activate MF Theme. If you get an error: Are you sure you want to do this? This usually occurs when either the PHP memory limit or max post size for WordPress has been reached. Read 1.1. MF Theme Requirements. The easiest workaround for this is to install theme through FTP (see above). Alternatively you'll need to change a number of settings either on WordPress or on your web host. MF theme includes a number of perfect plugins that greatly increase the theme opportunities and open new horizons.The installation of plugins will be required once after the theme activation. Install and Activate them. 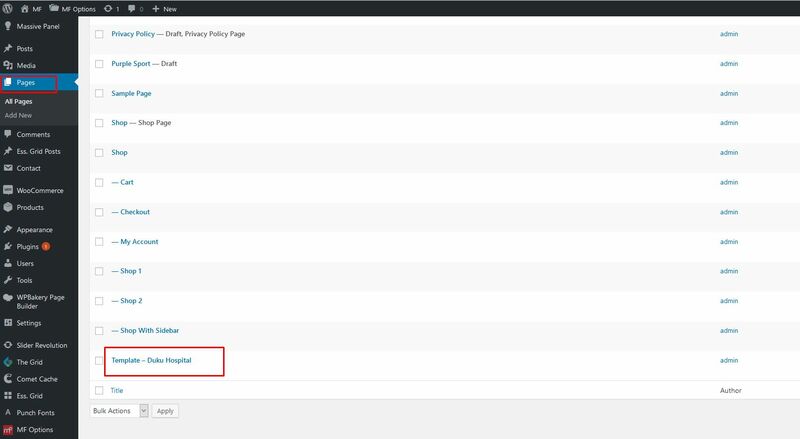 In case if automatic plugin installation fails (as a rule it is because of your server settings), you can install them at (wp-admin Dashboard) Appearance > Install Plugins. If you have troubleshoots contact our Support. Our support team will help you. Nothing stands still, the updates for WP and plugins are constantly released and they are included in our template. We supplement our theme with new features and fix all the issues. Because of this our team regularly updates theme. We recommend you always to use the last theme version to avoid the issues with incorrect template functioning. While the theme update the theme files will be rewritten and if you made any changes directly in them, these changes will be lost. 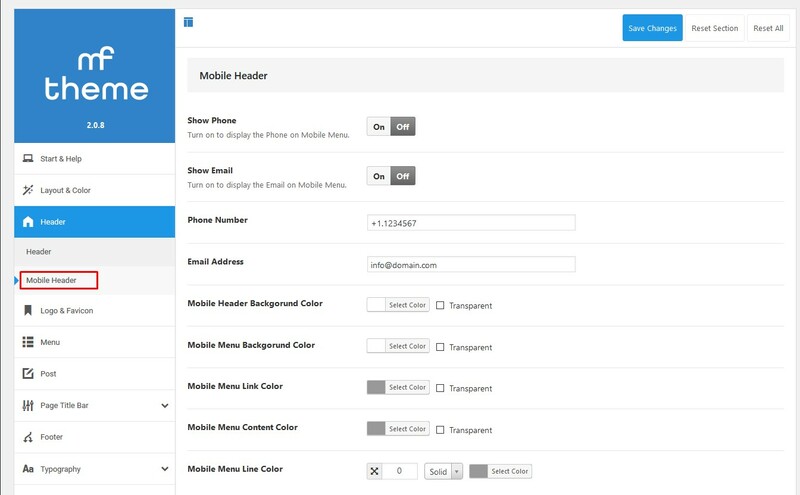 So, if you are planning to customize your template, we insistently advise you to use Child Theme or Custom CSS area in MF Options in case your changes affect only css styles. The theme update affects only the theme files and do not influence the database. But, to avoid any difficulties, please, do the backup of theme files and data base before any update. 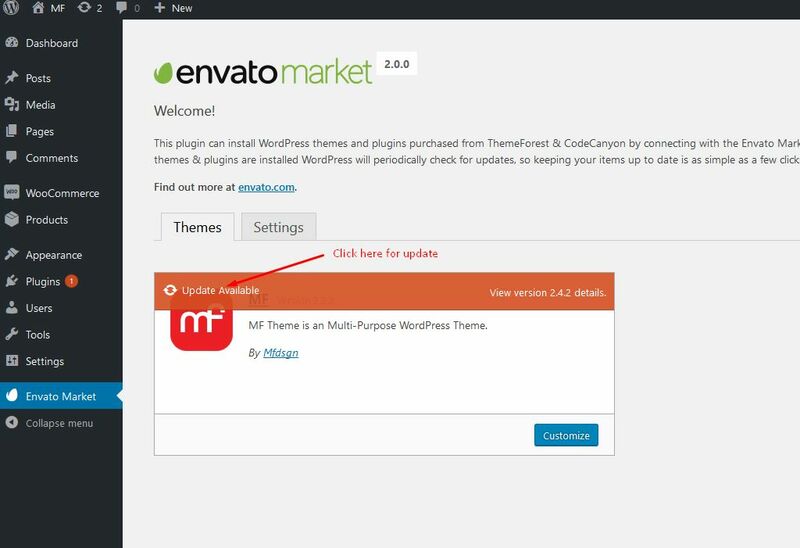 Envato Market is a plugin for automatic WordPress theme updates that provides fast, efficient updates to keep your theme bug free and compatible with the latest version of WordPress. 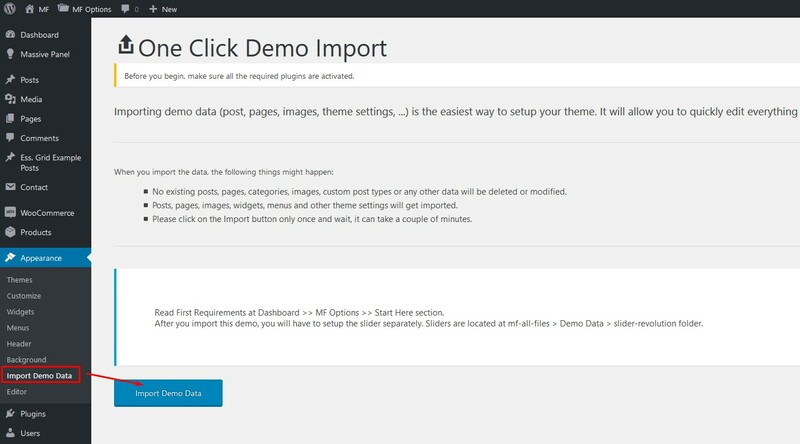 Visit the Envato Market Plugin page to download the plugin zip file. If your update gives error try this: Deactivate all plugins excluding Envato Market Plugin and try update theme. After update activate your plugins again. If you’re already logged into your Envato account you’ll be taken to the screen below (otherwise you will be prompted to login first before being redirected to this page). On this screen you can see what the Envato Market plugin is requesting permission to access via your Envato account (Envato sites, the ability to download your items, a list of your purchases and verification of your purchases). 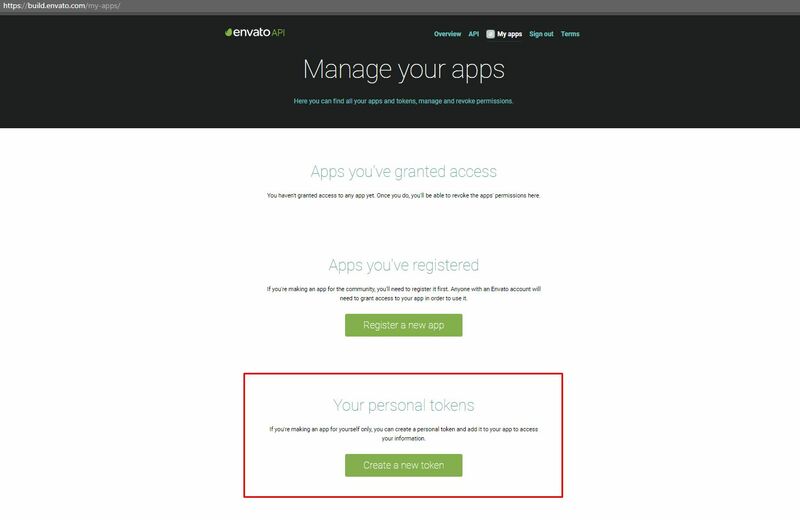 To proceed give your token a name, check the box that you have read and agree to the terms and then click the green button to create your token. 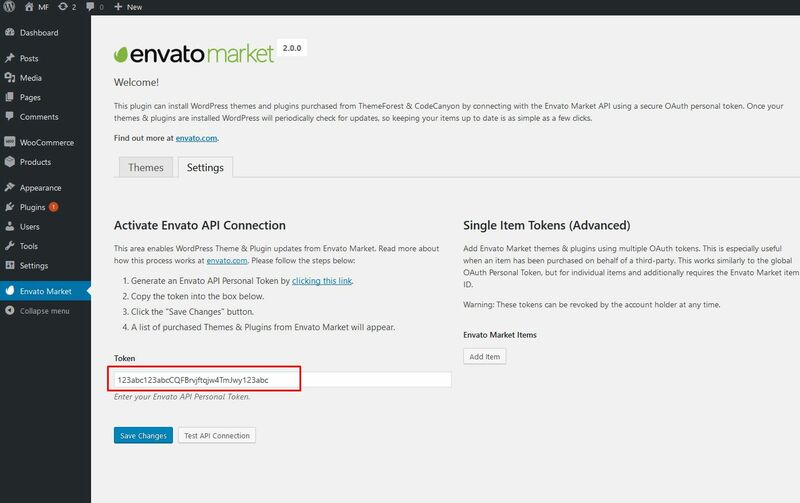 Now go back to your Envato Market > Settings page and paste in your Envato API token then click save. Once your token is saved and validated your page will refresh to show your Envato Market landing page with added tabs for your items. The added tab(s) display all of your themes as well as their version numbers and quick links to the theme and author pages. 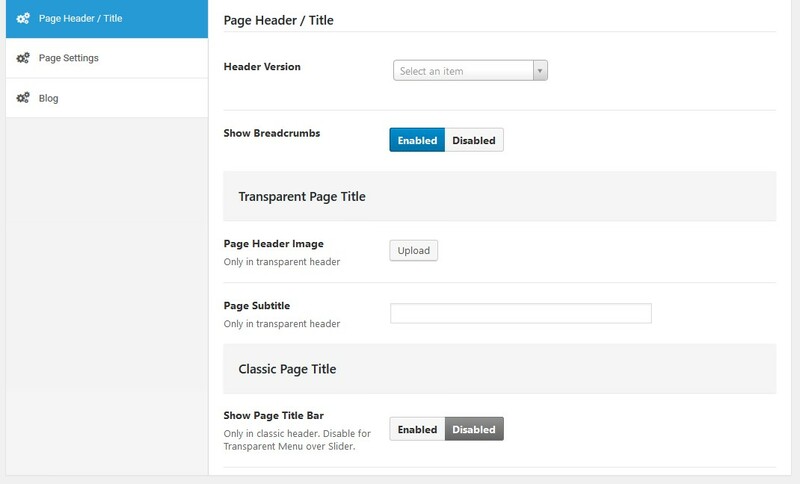 You may also use Easy Theme Update plugin to backup your theme and upload the new version. This plugin does not need any settings or Api key. You do not to deactivate or delete current version of Theme. 1. Download the latest zip file for your theme. You can find it at Themeforest.net Downloads section. 2. Log into your WordPress site. 3. Go to Appearance > Themes. 4. Click the “Add New” button at the top of the page. 5. Select the zip file with the new theme version to install. 6. Click the “Install Now” button. 7. It will upgrade Theme and make a backup of old version. Please, re-save your mf options after upgrading the theme. Navigate to admin panel > MF Options and hit Save changes. In the extracted package you will find mf.zip, which is the WordPress theme. Extract zip file and upload only extracted mf folder to /wp-content/themes/ folder on your server with overwriting. Install and activate required and recommended plugins before you proceed. Click ‘Settings’ in the left menu and click the ‘Permalinks’ Sub-item. Select Post name and click on "Save Changes". 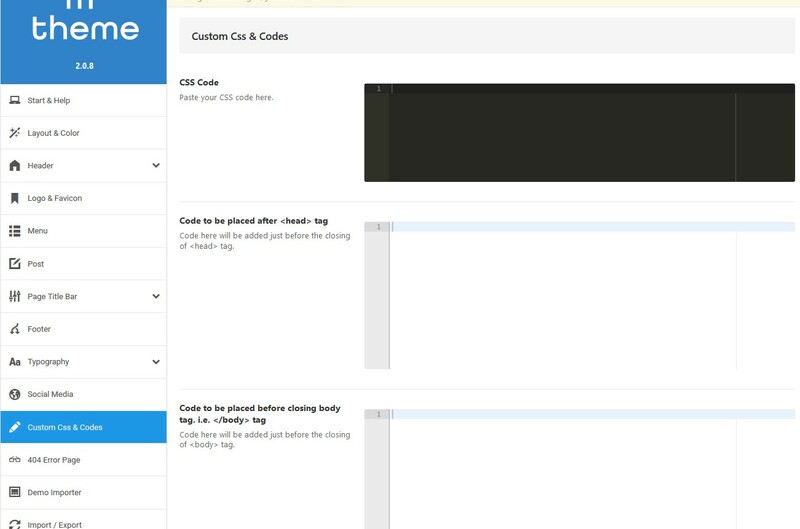 After you import demo data, you will have to setup the slider separately. Sliders are located at mf-all-files > Demo Data > slider-revolution folder. If you don't want to import with one click or if you can't use one click import according to server settings Import of .XML file is your way. Import sliders you will use at Slider Revolution >> Import Slider. 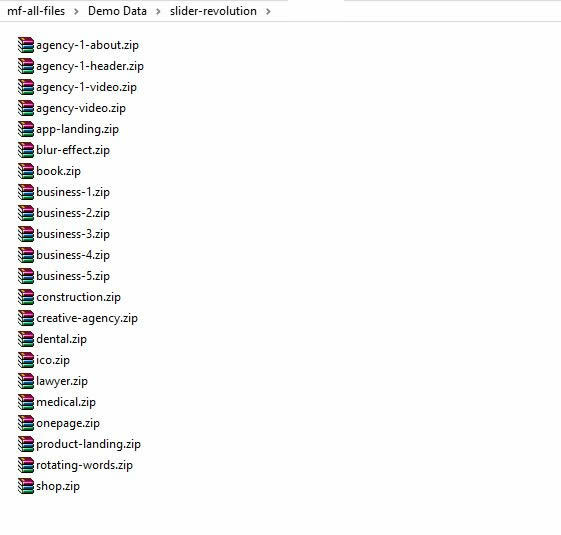 Demo sliders are located at mf-all-files >> Demo Data >> slider-revolution folder. You will find imported pages named as "Template ...". like this: "Template Duku Hospital" at pages (See image below). 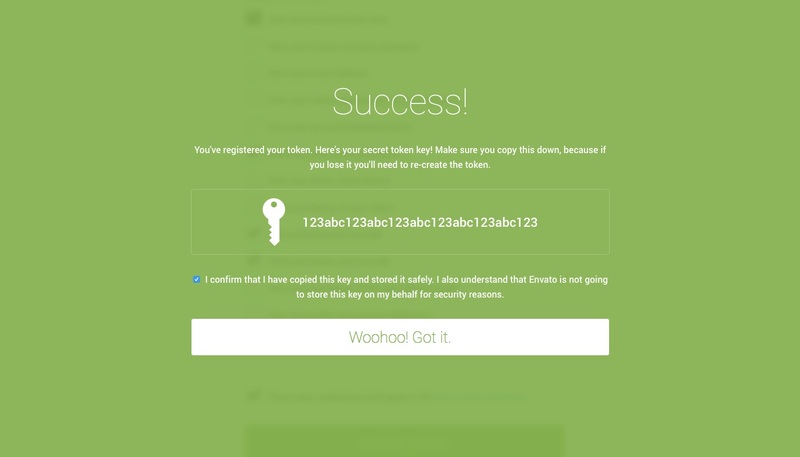 For using Google Maps you have to enter Google Maps API Key to Massive Panel. See the image below. First of all, we would like to specify that we do not guarantee the compatibility of our theme with all the third-party plugins for WordPress. Our template is fully compatible only with the plugins that are included in our theme and also WPML plugin. You often (not always) need to customize the extension to make it work properly with your theme. It's impossible for theme author to make the theme compatible with all existing extensions. Please, take that into your consideration and treat with understanding! 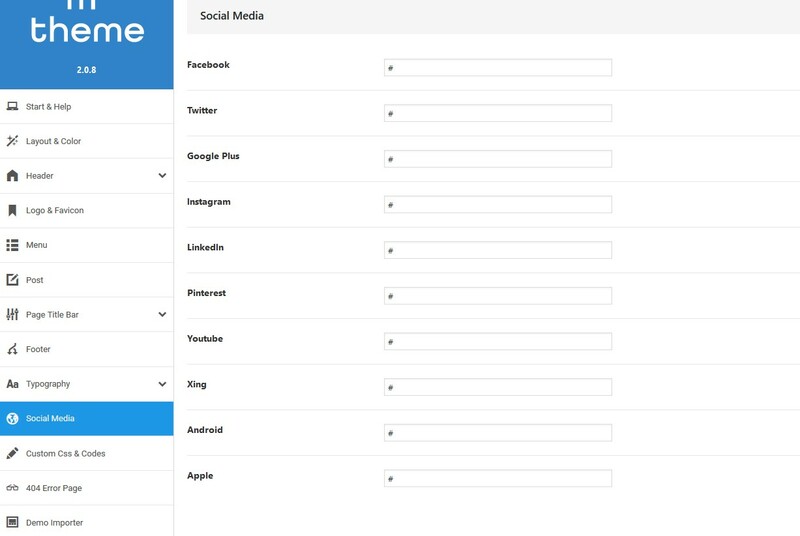 Contact Form 7 - Contact form plugin. Essential Grid - Premium grid plugin for portfolio pages. Massive Addons for Visual Composer - Shortcodes & Elements for Visual Composer. Redux Framework - Core plugin for MF Options panel. Revolution slider - Best selling Slider plugin. 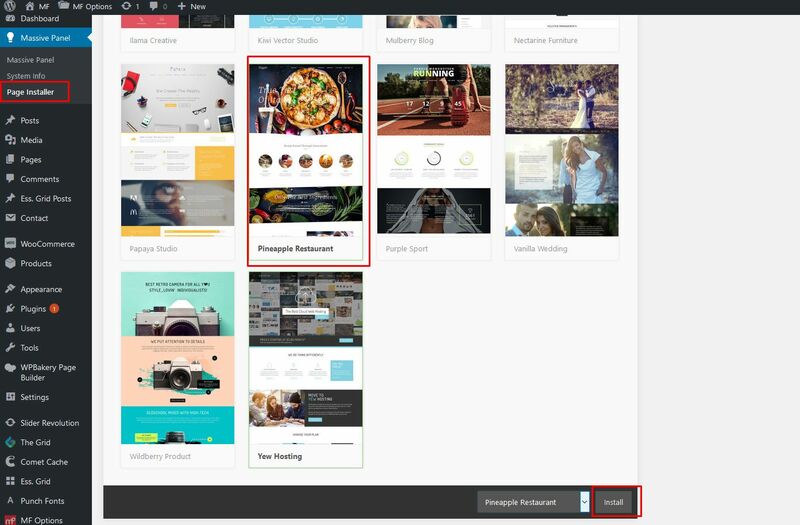 The Grid - Premium grid plugin for blog and portfolio pages. Visual Composer Clipboard - Easy copy & paste plugin for rows, elements on pages. 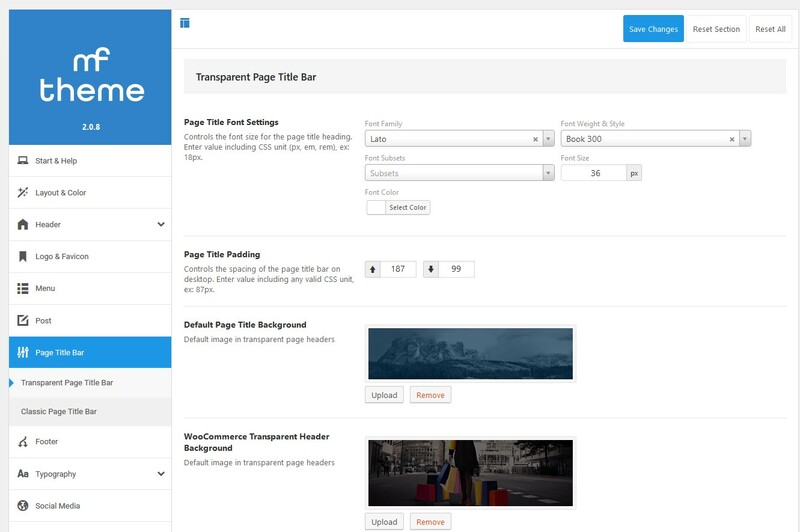 WPBakery Visual Composer - Page builder plugin. Woocommerce - for selling online. Documentation of plugins are at mf-all-files >> Premium Plugins + Docs. Plugins authors regularly release the updates and in order to use all the features or fix already found issues, we recommend you to follow the plugins versions and update them. When an update comes with this plugins we update it in our folders. For new versions of these plugins just delete the plugin and install it again (MF Theme version have to be 2.4.5 or high). After deleting it and automatic install will come in your panel. Install it again that will the latest version. You could install it also at Appearance >> Install Plugins too. There is no licenses key for plugins to our buyers. We have extended licenses for plugins and could give these plugins to our customers. For some extra add-ons & features that are not used in our theme in this plugins and direct support from this plugins, you could buy licenses of plugins. But all features that used in our theme do not need an extra addon. This is not only our practice, all the themes that are selling on ThemeForest also have the same rule. These plugins installed automatically with your theme installation. When an update comes with this plugins we update it in our folders. For new versions of these plugins just delete the plugin and install it again (MF Theme version have to be 2.4.5 or high). After deleting it automatic install will come in your panel. Install it again that will the latest version. You could install it also at Appearance >> Install Plugins too. 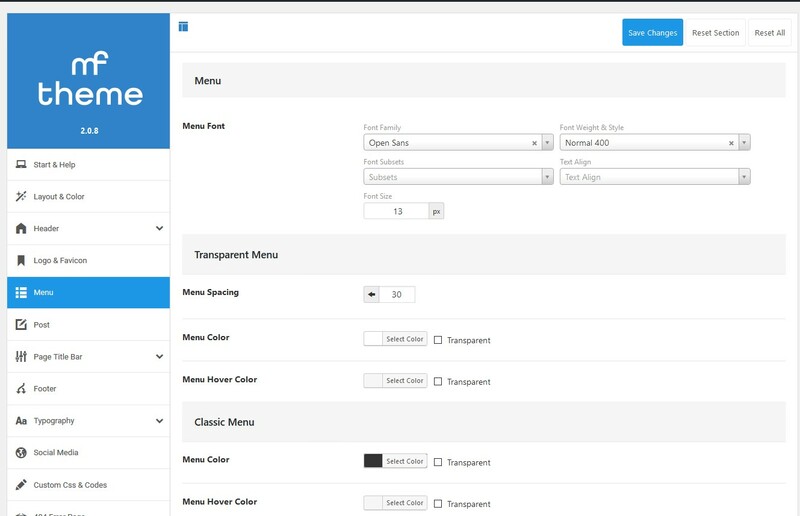 MF theme is managed through settings called Mf Options and its located in Dashboard > MF Options and contain settings organized into logical tabbed sections. These are global options for your website. Its quick Start & Help section. Server requirements and quick install instructions could be found here. Boxed & Wide layout option and General Color option could be set here. Header Options could be set here. Logo & Favicon options could be set here. Menu	options could be set here. Mobile Menu options could be set at Header > Mobile Header. 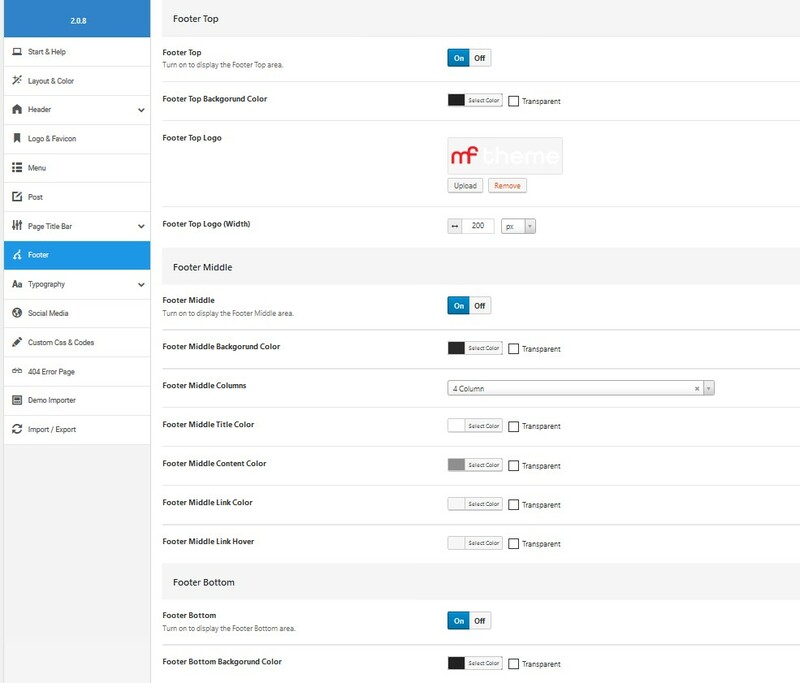 MF supports custom WordPress menu. Custom menus may contain links to pages, categories, custom links or other content types. If you want to add special things to menu like posts and posts categories, portfolio categories, classes for links, etc then please click on Screen options button in right top corner where you'll be able to choose much more options that can be used for menu items. There is no limit in our theme on how many menus you can create. MF Theme includes 4 menu location: Main Menu, Footer Menu, Top Menu and Left Menu. In section Theme Locations you can choose which custom menu to associate with each location. MF Theme has some additional settings to create menu. Options change depending on menu item level. CSS Classes - allows icons before menu title. Megamenu - allows to create Mega Menu to submenus of selected Menu. Megamenu Columns - set number of columns if Mega Menu design type is selected (1st level). Submenu item label color - color of label text. General Post options could be set here. Page Title Bar options could be set here. Footer options could be set here. General Typography settings could be set here. Social Media links could be set here. Custom Css and Codes like Google Analytics could be set here. 404 Error Page options could be set here. Pages are almost the main element while creating site. They are intended for static content, that's why pages are a good way to publish information that doesn't change much. You can create any number of pages with content. 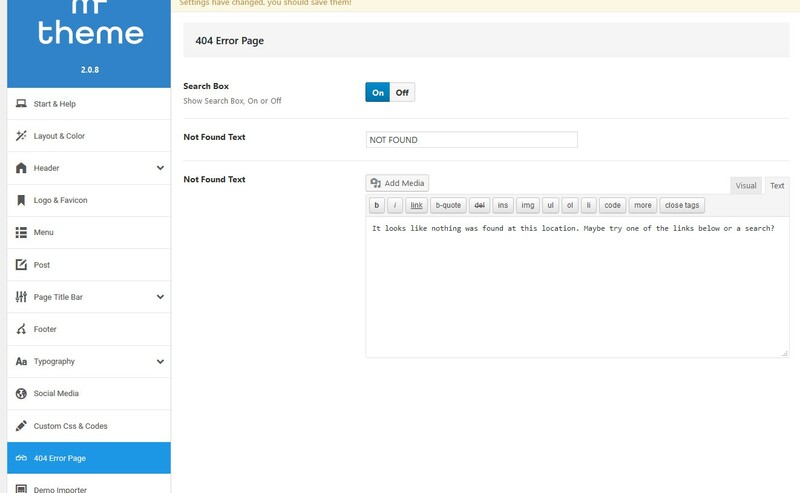 MF theme includes Default Template and Blank Template to create specific pages. To get started adding a new page to your site navigate to Dashboard > Pages > Add new. Add the title of the page. If you have pretty permalinks set up, the title of your page will also be the URL slug. Next, add some content. We recommend using Visual Composer editor if you want to add something more than just a simple text content. Preview the page one last time, then click Publish. You’ve added a new page to your WordPress site. If you want to receive feedback from your visitors, having a Contact Us page on your site is an easy way to achieve that. Go to Pages > Add new and create a page called "Contact Us" (or whatever you want your contacts page called). To add contact form use Contact Form 7 plugin. You may also use our theme as a Portfolio. It is the perfect way to share your artwork, photography, or anything visual you want to show off. For creating Portfolio Pages MF have Essential Grid and The Grid plugins included. You can use one of the examples of Portfolio pages that comes with demo data. 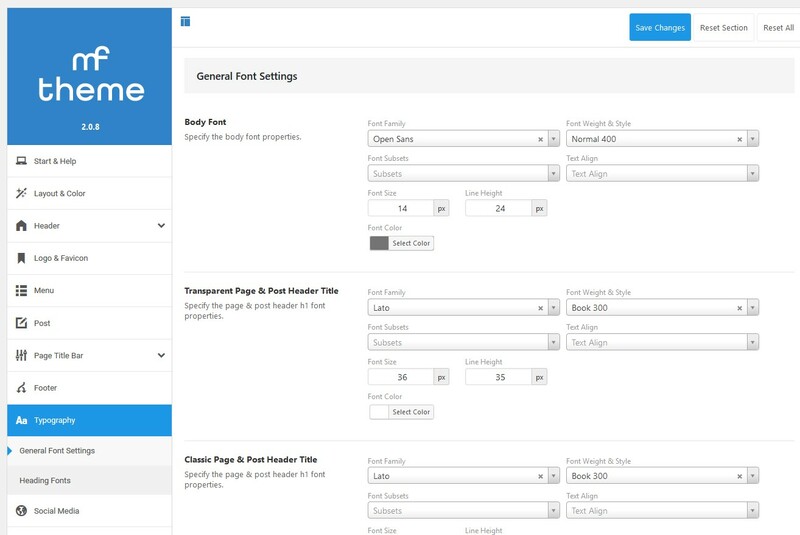 MF includes Blank Page template that allows you to build pages without showing the header or footer. They are perfect to create a landing page design or for such pages like "Maintenance Mode" or "Coming Soon". You can use all the same page options and the element for content. There is two ways to display Blog on MF. 2. 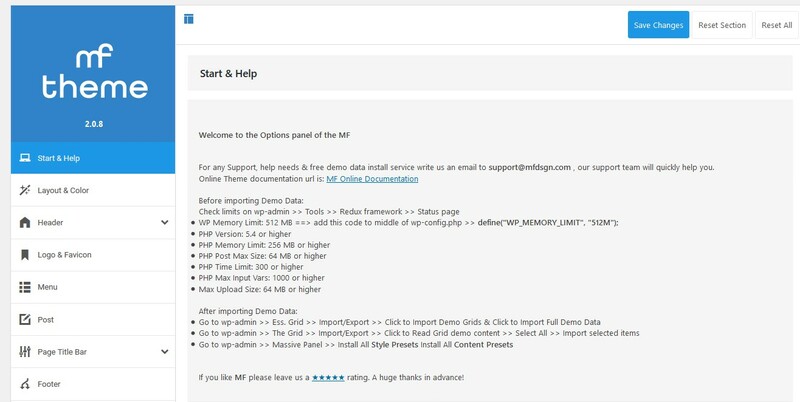 Select an Blog sample page comes with MF Demo data created with The Grid premium plugin. At this way do not select an page at Settings > Reading > Posts page. Theme supports Revolution Slider, the installation of which would be provided for you after theme activation. After that you may create the sliders and use them on the site according to the plugin documentation. Documentation from the authors of the slider you can find here. Please, refer to it for further information about slider settings. Sliders can be added to any page. If you already have import file you may import the archives. Examples of sliders you can find in mf-all-files >> Demo Data >> slider-revolution folder. Upload an archive and press Import Slider button. 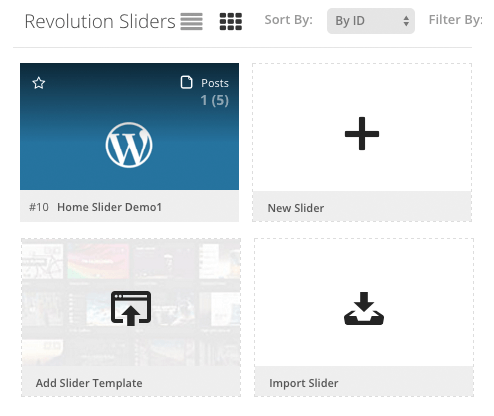 If you want to create new slider navigate to Revolution Slider > New Slider. After that you will reach a form where you are prompted to enter the Sliders Basic Settings. The next step is creating/editing slides. Insert the slider content. This is not only our practice, all the themes that are selling on ThemeForest have the same rule. MF is compatible with WooCommerce and includes design integration as well as custom shortcodes. WooCommerce is external plugin and theme documentation includes only basic information to get started. Below you can find links that have additional information about using WooCommerce. The translation file mf.pot you can find in /wp-content/themes/mf/languages folder. Edit the .po file using POEdit, use the translation field to make replacements. Read here how to do it right. From the file menu, save file with your language name e.g de_DE.po. It will generate both a .po and .mo files for your translation. Place these files into languages folder /wp-content/themes/mf/languages. MF is WPML compatible theme that means you may translate template to the language you need. To start you need to purchase a recent version of WPML, including the String Translation and Translation Management modules. MF fully supports Child Theme. We have already created and included child theme in theme package. You just need to find mf-child folder in theme package and upload it to /wp-content/themes/ folder. Will MF Theme work with WodPress 5.0 and Gutenberg Editor? Our theme demos and elements are made with WPBakery Page Builder and WPBakery does not work with Gutenberg. We strongly recommend you to disable Gutenberg editor at WPBakery options or just disable it at plugins. If you need any help just send an email to support@mfdsgn.com be sure to add your puchase code. Our support team is ready to help you.